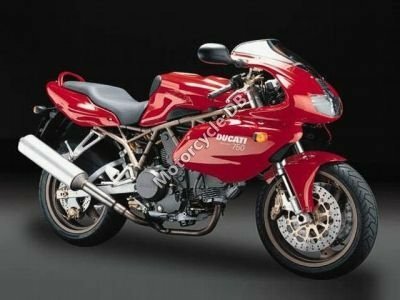 Model: Ducati 750 SS i.e. Rear suspension: At the bottom pivot point the rear shock absorber is connected to the steel swingarm. Front suspension: Hydraulic upside-down fork. Frame type: Tubular trestle frame with upper section made of highstrength steel.